The Automated People Mover (APM) and ITF Intermodal Terminal Facility (ITF) consists of 475,000 square feet across three levels. 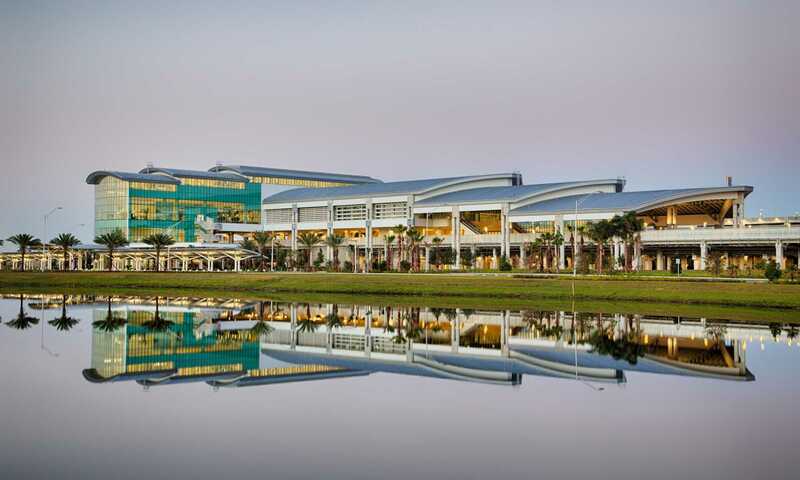 The ITF is planned to initially accommodate two rail modes of transportation initially, the APM and the Brightline intercity high-speed rail, as well as ground transportation consisting of public busing, shuttle busses, taxis and limousines. 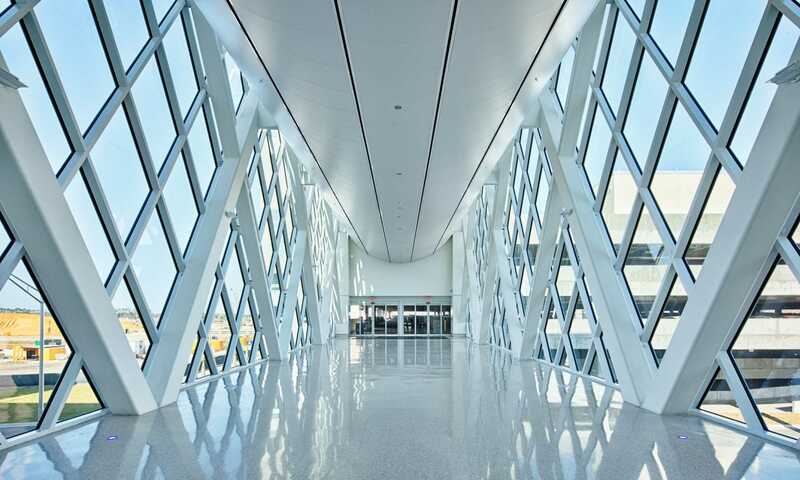 The terminal structure is a combination of concrete columns on pilings and steel beams, girders and long span trusses. 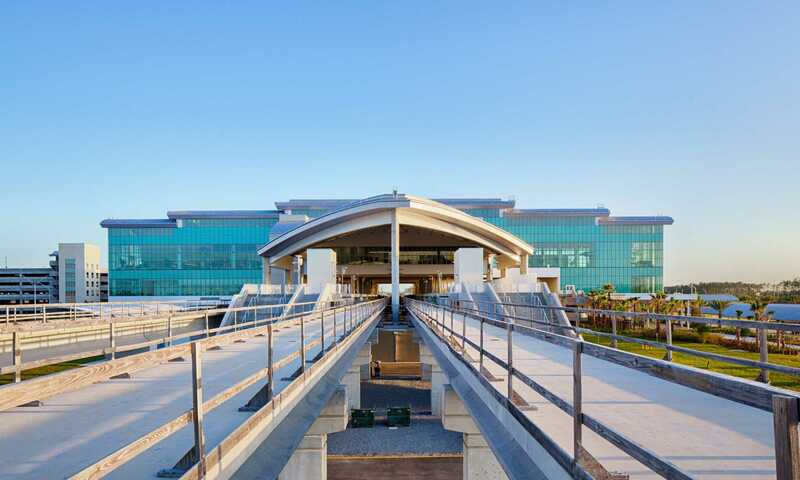 The project provides a timeless, modern architectural style that makes a bold first impression while establishing a civic presence at the terminal’s so-called “front door.” The facility strategically links air, rail and ground transportation modes along an organizational element known as the “Boulevard.” With intuitive wayfinding and commanding views, the Boulevard features a terrazzo floor pattern that hearkens to the natural springs of Central Florida. 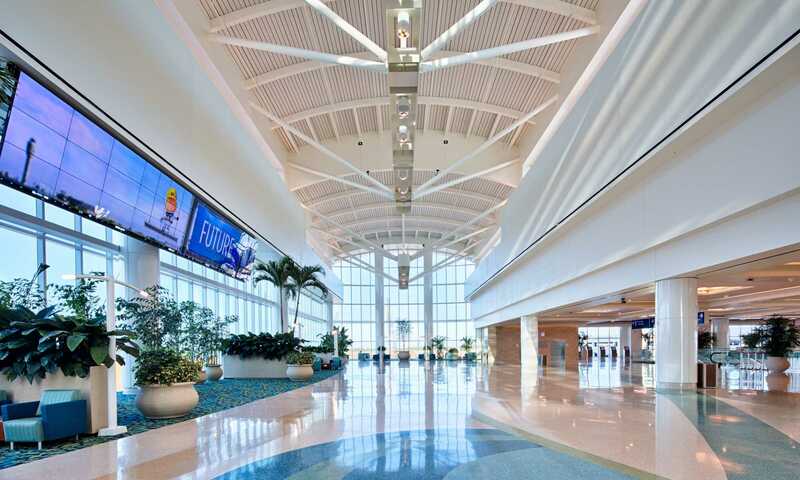 Glazed walls provide exterior views of the rail and air activity at the airport and complementary nested barrel roof was designed next to the Boulevard to house the future Brightline. 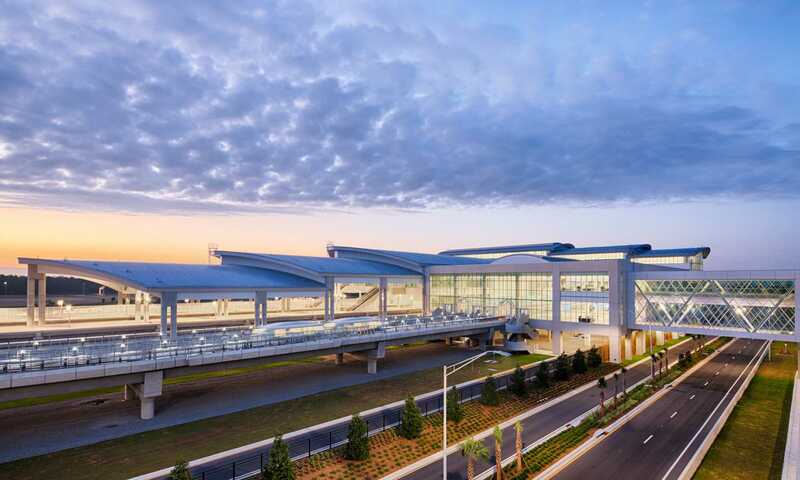 The LEED V4 certified project is the central link between the existing North Terminal and a planned 120-gate development of the South Terminal. Additionally, the APM/ITF is designed to accommodate two future modes of rail transportation, light rail and commuter rail.